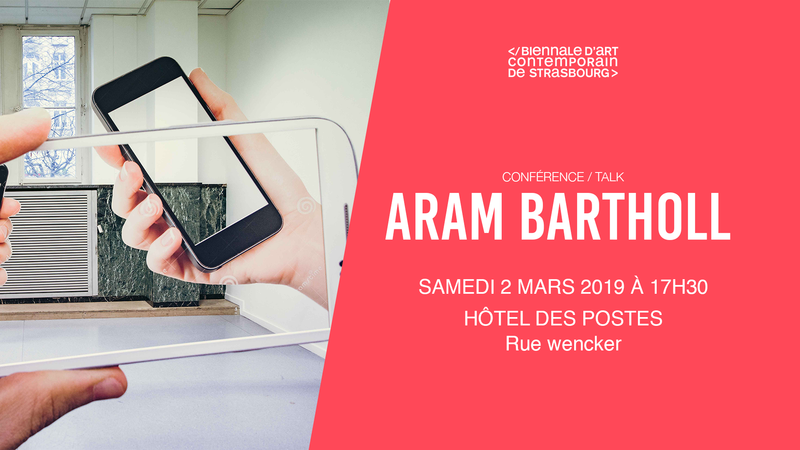 Saturday, March 2nd 2019 at 17:30, Hôtel des Postes (rue Wencker). Aram Bartholl presents recent works and projects dealing with digital privacy, security and the commercialisation of the internet. With installations, workshops and performances, also in public space, he examines the various developments of digitization and their social effects. cultural effects of the omnipresent Smartphone use in todays’ every day life. > Free admission, limited seating available.